This Reliability Que will discuss an example of how Weibull analysis qualitative results showing early failures (Infant Mortality) can be utilized to quantitatively drive the decision making process in Reliability Centered Maintenance (RCM) programs. 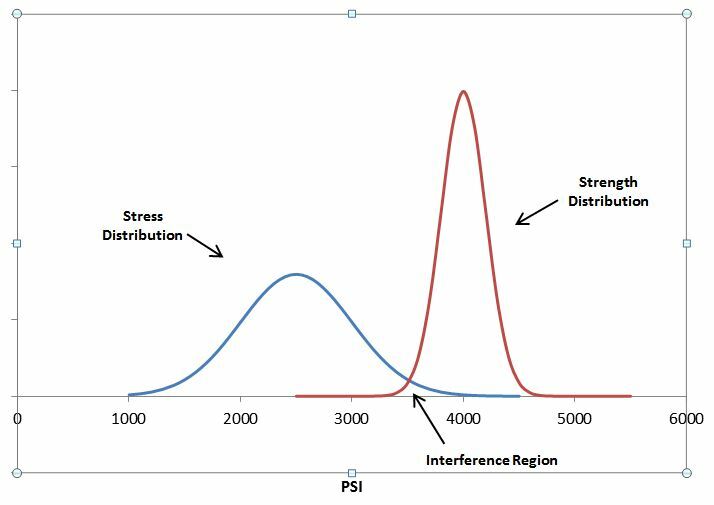 By utilizing a Weibull distribution, an analyst can determine the reliability of a system for a given period of time and also have insight into additional failure characteristics (e.g. early failures, constant failure rate, wearout condition). 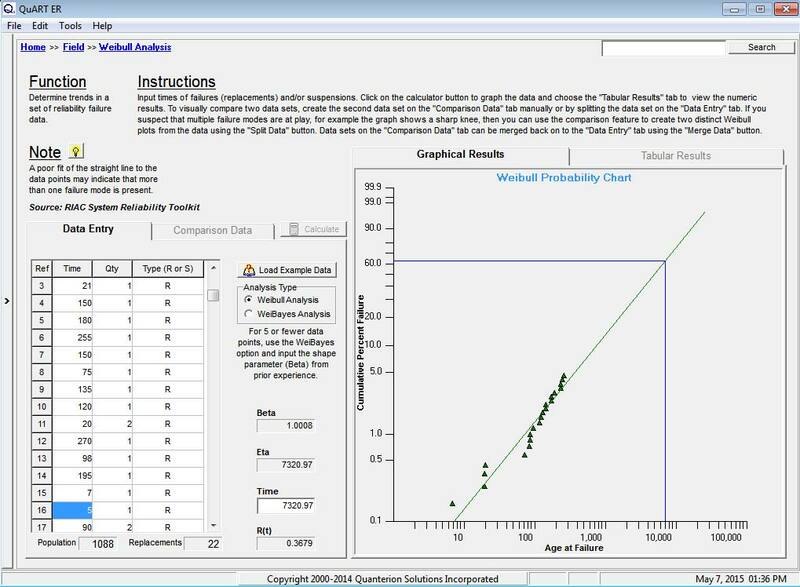 The following example discusses a Weibull analysis showing an infant mortality failure characteristic which was performed on a system as part of an RCM process and how the results led to a very unique maintenance management decision. In this example, a bus company began having failures in their fuel system and requested an analysis of its very limited dataset. There were a total of 31 buses in the fleet, but 4 recent failures were of great concern, as they resulted in emergency repairs. The buses were not new, but the failure mode was and, as such, some thought was required when developing the dataset for analysis. After discussions with maintenance personnel, a dataset was developed based on the last time of replacement for the component of interest. This data was analyzed, with the results shown in Figure 1. A closer inspection of the results in Figure 1 indicates that the dataset can be represented by a 2-parameter Weibull distribution. The failure data points are well in line with the predicted result. 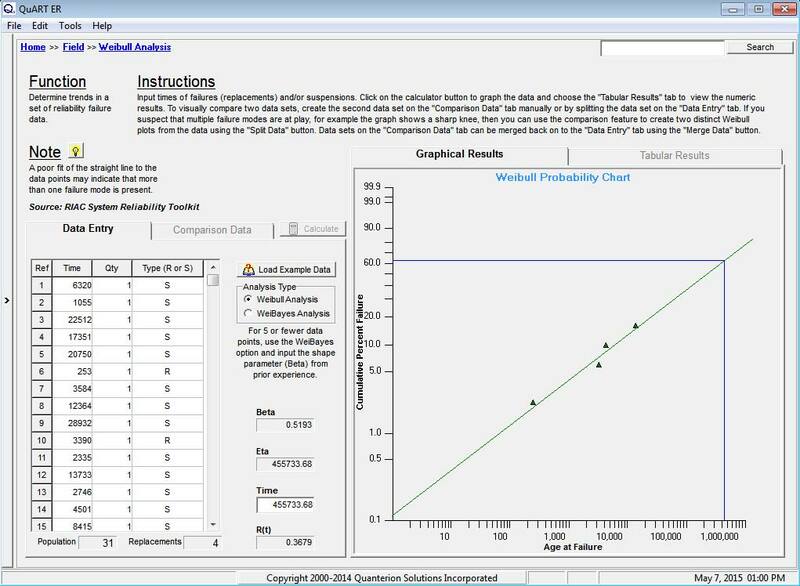 Note that only failure data is plotted when using the Weibull analysis Rank Regression technique. This is not to say that suspension data is not important to the analysis, as it is a critical component to the reliability prediction result. Although not plotted, the suspension data does influence the appropriate plot positions of the failure data. 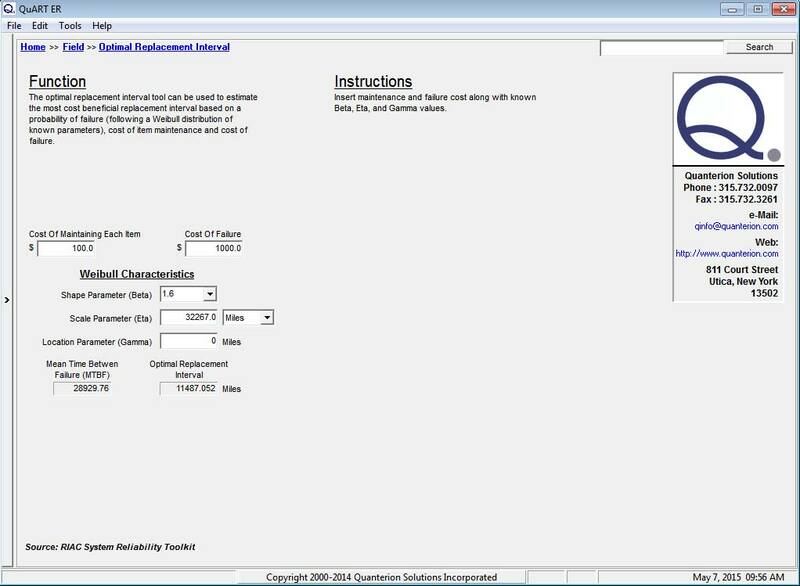 For more information on the Weibull Analysis process click here. 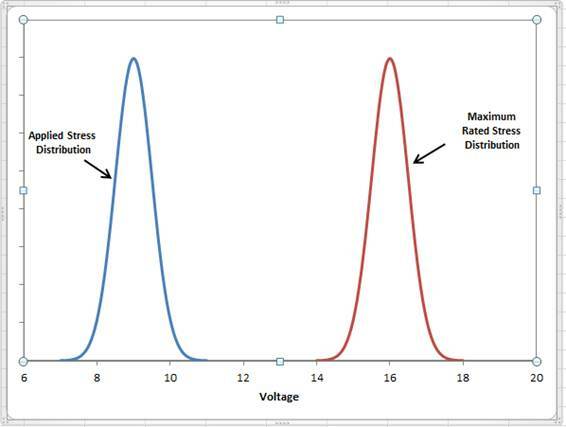 In this example, the Weibull Analysis tool in QuART-ER was utilized to perform the analysis. 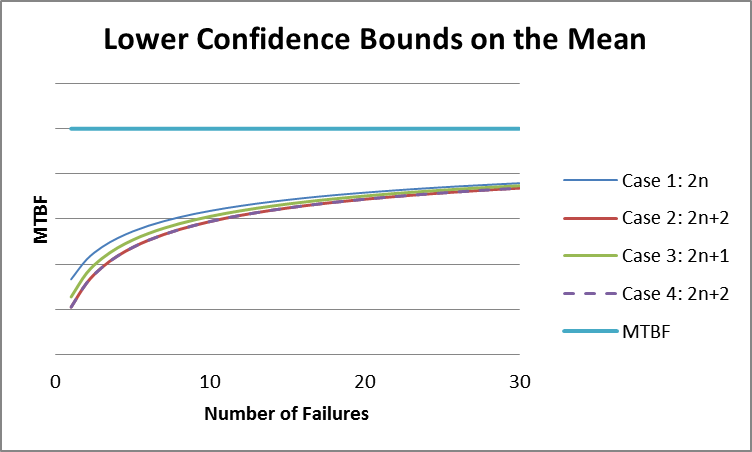 As can be seen from the figure, the few failures that did occur seem to align fairly well with the predicted Weibull analysis plot, leading to the conclusion that the dataset is conforming to a 2-parameter Weibull distribution. With the Weibull distribution, Eta is utilized to calculate the Mean Time To Failure (MTTF) for the system while Beta describes the failure characteristics (e.g. Beta < 1 = early failures, Beta = 1 = constant failure rate, Beta > 1 = wearout condition). Of particular importance in the RCM decision-making process is the value of Beta. In this case, Beta is much less than 1 indication Infant Mortality in the system. This result predicts that the average component should not fail during the lifetime of the bus. As mentioned previously, the value of Beta is critical to the RCM decision-making process. In the current example, the value of Beta = 0.5193 is much less than 1.0, indicating that the failures are an extreme case of infant mortality. Although infant mortality is a common failure characteristic in electronic equipment, it is far less common in mechanical components and mitigating the problem would require more information. Armed with this new information, the maintenance person who had requested the analysis and supplied the dataset was contacted. More information was needed about the failure mode itself. The individual with the data did not have this information, so he contacted the shop floor manager. The shop floor manager indicated that the time-to-replacement data being utilized was correct, as the component (a brass elbow in the system) was replaced when another component in the system was serviced because it was convenient to do so at that time. He also indicated that the elbow was failing due to clogging, which should not happen because there was a pre-filter in the system, just before the elbow, to prevent that from occurring. After much discussion, the decision was made to replace the pre-filter in addition to the elbow when maintenance was performed on the system. To date, no further failures have been reported. This was a case when unusual data led to the usual questions addressed to the right people and a solution was found.